Celebrating Easter by coloring eggs is a tradition that you’ve always enjoyed. But this year you’re looking for a few fun Easter egg alternatives. Even tough you still plan on making plenty of the dip and dye eggs, the kids are also asking for other artsy ideas. Check out these options that are completely crafty — and fun for all ages! 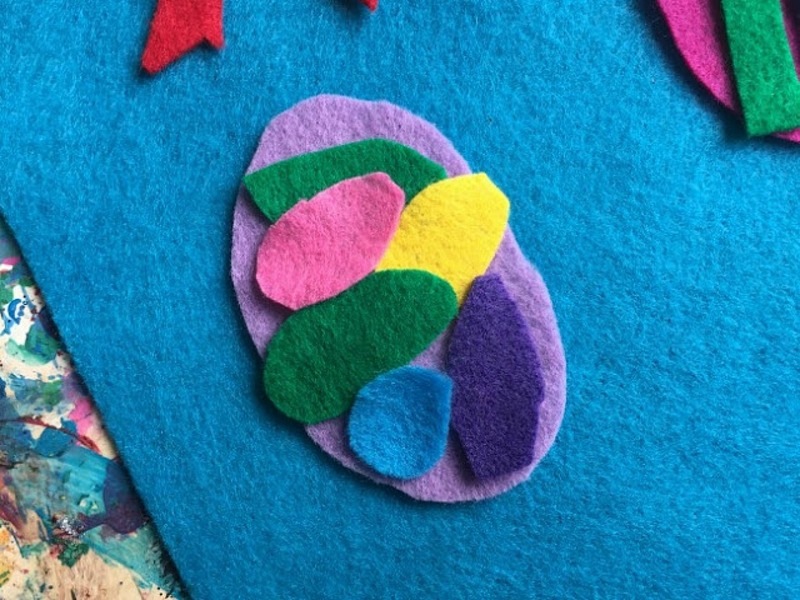 Cut craft felt sheets into ovals. Make as many ovals, in as many sizes, as your child wants. Each oval is one egg. Your child has a few décor options to dress-up the eggs. They can cut more shapes out of different colors of craft felt and press them down. This results in changeable eggs that they can play with year after year. Another option is for your child to add glitter, sequins or special papers (metallic or tissue paper pieces) with clear-drying school glue. Pour a rainbow of paint into pools on a paper plate. Have your child draw a large-sized Easter egg onto poster paper. They can then dip the open side of plastic eggs (the circle shape) into the paint and print designs inside of the oval. While you have a palette of paint pools out, your child can create mini eggs with their own fingertips. They can dip a fingertip into the paint and press it onto a piece of paper. This makes a paint print oval mini egg. Decorate the eggs with more paint. Your child can brush the paint on with a fine paintbrush or use a cotton swab to dot a design onto the oval.